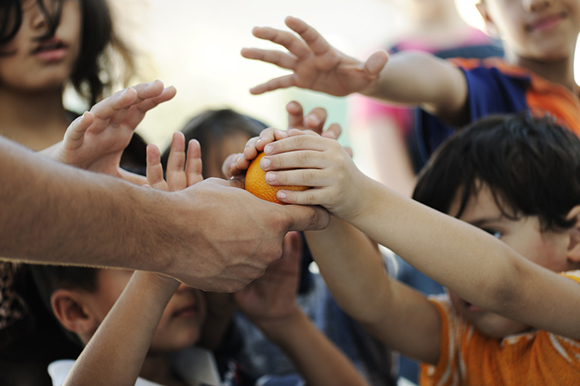 International charity day is an opportunity to pause and reflect on the many examples of individuals and nations doing good, writes Brisbane lawyer Dr Matthew Turnour who asks whether Australia should embed recognition of the day into our charity laws. World Charity Day is celebrated on 5 September. It is a good time to stop and remember how the day came about. It is an opportunity to reflect on examples provided to us by nations, businesses and individuals. We have the day to encourage charity. The United Nations chose the anniversary of the death of Mother Teresa to celebrate charity with the first year of celebration being 2013. Although seeds of the idea are evident in China earlier, Hungary led the process toward the recognition of World Charity Day in 2011. Hungary did more than just set aside a day to encourage charity. Perhaps its most famous action to encourage charity (and the development of the NGO sector generally) was its percentage tax. In 1996, Hungary introduced what have become known as Percentage Laws, which allow taxpayers to allocate a percentage of their income tax to specific Not for Profit organisations. By 2004, the idea had also been adopted in Slovakia, Lithuania, Poland and Romania. The most recent nation to recognise 5 September as a national charity day is China. It embedded the date in charity legislation passed on 16 March 2016. Again the legislation was part of a broader strategy to encourage philanthropy with one of the more remarkable aspects being the enactment of the legal infrastructure to enable the emergence of charitable trusts. Keen to do something about this, citizens began the movement that has culminated in not just the recognition of the day, but broader legislation to support the emergence and growth of the charity sector. The China Daily of 31 March 2016 reported that giving grew steadily over the period to 104.2 billion yuan in 2014 which is 0.16 per cent of GDP. In Australia it is easy to become discouraged about evidence of decline in our civic engagement. It is important to remember that there remain many encouraging factors. The available data suggests that 87 per cent of Australians made some form of contribution to charity in 2014 and 78 per cent of Australians support at least one charity regularly. That year we gave nearly $7 billion in donations and bequests. Around 2 million of us volunteered. These are not just statistics. They translate into real life stories. Caring for their neighbours here and overseas in the spirit of Mother Teresa, whom I note was recently canonised, a manufacturer of solar lighting in southern Queensland made his product available at cost to anyone who would buy the product as a gift for villagers in the Solomon Islands. Over 180 units, enough to light a whole village, were purchased and donated. A land developer is in negotiations with a charity to provide not just land for a newly emerging development but also at least one community development officer. One woman gave money to a refugee woman she knows who is struggling to feed her family. These are just snippets of stories that have touched me over the last few weeks. We can be inspired by the individuals around us to work privately and through businesses to do more for one another. We can also think as a nation whether, like China, we should embed in our laws charity recognition one day each year. As we approach tax reform we can ask should we, like Hungary, be doing more to encourage philanthropy through tax? International charity day is an opportunity to pause and reflect on these examples of individuals, businesses and nations. About the author: Dr Matthew Turnour is the chairman of Neumann & Turnour Lawyers and leads the Commercial and Not-for-profit team. 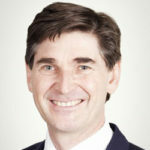 He is a director of Charity Law Association of Australia and New Zealand Limited, deputy chair of the Law Council of Australia Charities and Not-for-profits Sub-Committee and Chair of the Queensland Law Society Not for profits Committees. He advises Australian and International charities on tax and structuring issues with as special interest in charity law in China and Eastern Europe. I am ashamed to say I did not know there was a World Charity Day. Great to see this very special part of community life highlighted, Matthew.